Will the new Yamuna River Project clean up the river? Many studies have been conducted in the past on cleaning up the massively polluted Yamuna river and how to reconnect Delhi back to the water. 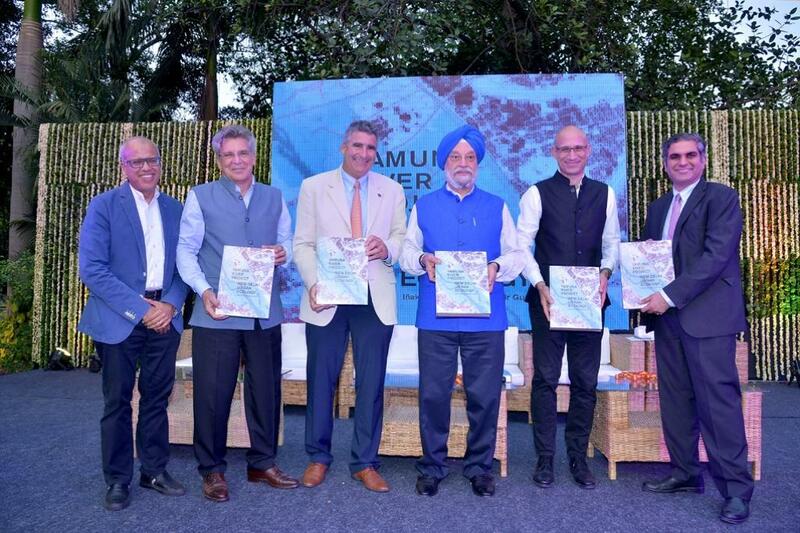 A new study, titled The Yamuna River Project and compiled by Virginia University professors of architecture Inaki Alday and Pankaj Vir Gupta, was released by Hardeep Puri, Minister of State for Housing and Urban Affairs last week. It took five years for Inaki and Pankaj to put together a team of government agencies, experts and activists from India partnering with international researchers, experts from Virginia University and students to put together a comprehensive plan. This looked at not only reviving the neglected river but also contained suggestions on how to establish a healthy equilibrium between the river and the city. A five year Memorandum of Understanding (MoU) was signed by the University of Virginia in 2017 with the Delhi Jal Board (DJB) to map out an expansive, multidisciplinary prescription to rehabilitate the pollution-choked Yamuna River. In May 2017, Prime Minister Narendra Modi visited Spain, and the two countries issued a joint statement on climate change and water access management. Following up on this, the Spanish Embassy in India partnered with the University of Virginia to offer Spanish expertise in designing smart, sustainable cities. The Embassy also helped to bring together different government bodies to aid and facilitate the research. According to Inaki, the second year of the partnership with DJB has already received a funding of USD 7 million, which will help speed up further study and implementation of findings from the Project. The five year project which cost USD 1 million in faculty and student research grants was funded by the University of Virginia. Delhi’s citizens are now completely detached from their river, only part of a larger detachment from the formerly shared consciousness of public space, from the concept of a commons. This detachment is the underlying cause of Delhi’s environmental dilemma. The Yamuna is now incapable of supporting physical life. 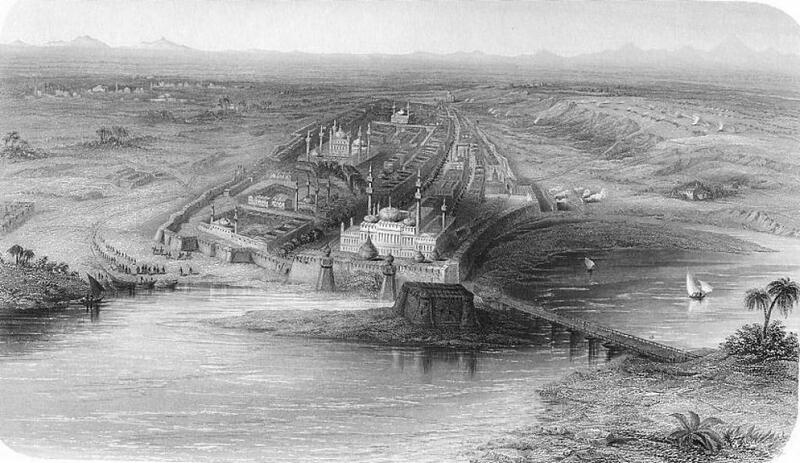 “It’s sad to know that for 700 years the river was a thriving entity around which the city of Delhi grew and the last time in history that we see the river flowing by the palace was during Mughal emperor, Shah Jahan’s reign,” said Pankaj Vir Gupta, Professor of Architecture at the University of Virginia, and one of the authors of the study, at the launch of the report. Some of the key recommendations of the project are the development of a holistic new urban design master-plan for New Delhi which proposes solutions for low-income housing, mixed-use neighbourhoods, proper sanitation and solid waste management infrastructure, and integration of pedestrian mobility with the public transport infrastructure for the city. All this would be centred on an ecological commons – the Yamuna floodplain riparian zone – as the green spine of the city. The report has found that Delhi is in a real emerging crisis — a rapid transition from a city without clean water for all its citizens to a city without any clean water at all. As an increasing amount of water is diverted at the Hathnikund Barrage for the Western and Eastern Yamuna Canals the amount of water flowing downstream through the Yamuna has decreased; today much of the Yamuna is a dry riverbed. In Delhi during the eight months of the dry season, the Yamuna is fed mainly through a trickle of sewage and waste runoff from the city. As the city’s water usage increases, dry season water levels in the river rise due to greater amounts on untreated water being dumped into the river. Consequently, floodwaters are also rising during the monsoon season. The report further says that because of climate change, current statistical calculations are under scrutiny. Predictions are proving challenging and chances of massive and sudden rains are becoming notably higher. The project also studies the problem of encroachment of the Yamuna flood plain in great details and finds that bridges and other large infrastructures create obstructions in the river. This decreases the effective width of the floodplain and increases the speed of water during monsoon floods. This in turn taxes crossing structures, embankments, dredges the river bottom and erodes riverbanks, accentuating the Yamuna’s destruction. The consequences of steady flood plain encroachment are severe. The embankments will fail during a 100-year flood event, wiping out structures built in low lying areas of the floodplain and inundating East Delhi with water. This scenario is unavoidable unless significant interventions are taken to redesign Delhi’s waterways. Puri announced at the launch of the report that the Vice Chairperson of NITI Ayog (National Institution for Transforming India), a policy think tank of Government of India, has been directed to form a body of all stakeholders to implement the recommendations of the project. He added that the cleaning of the Yamuna is at the heart of rejuvenating the city and that work in this regard will commence very soon. Interestingly, the CEO of the Delhi Jal board (DJB), the government agency responsible for the supply of potable water in Delhi — which is a major partner in the project — could not be reached despite several phone calls and emails. The CEO’s office forwarded names of two senior officials who, thethirdpole.net was informed, were qualified to speak on its partnership with the project. Several mails written to the Delhi Lieutenant Governor’s office went unanswered. According to the environmental activist, Manoj Mishra, who has been fighting to preserve and protect the Yamuna river, and its floodplains through his organisation Yamuna Jiye Abhiyaan (Let the Yamuna Live Movement), the Yamuna River Project has not addressed the issue of environmental flow which is crucial to save a river. “To my understanding the study for the project was done in fits and starts. No ecology expert from India was consulted. For us, water is the main issue and how a river can be made more accessible to people. It will be good if we see some real work happening after a lot of high level attention that the Project has received,” said Mishra. He also mentioned that two reports had already been submitted to the National Green Tribunal (NGT), the most important environmental judicial system in India, and had already been accepted by the NGT and the Delhi Development Authority. These include a 52 km stretch of embankments, embankment roads, and roads on either side of the river developed as greenways, with walkways, cycle paths and recreational centres to facilitate the link between citizens and the river. It seems that much of what the Yamuna River Project envisages is already being undertaken under the aegis of the NGT and the DDA, which begs the question as to why these endeavours are not being built upon? The lack of coordination between the various agencies seems to point to the key issue that has bedevilled previous plans, and seems to be set to bedevil this one.